By buying this product you can collect up to 45 loyalty points. Your cart will total 45 points that can be converted into a voucher of Rs. 4.50. A Classical combination of herbo-mineral ingredients, help to boost sexual desire & support performance. 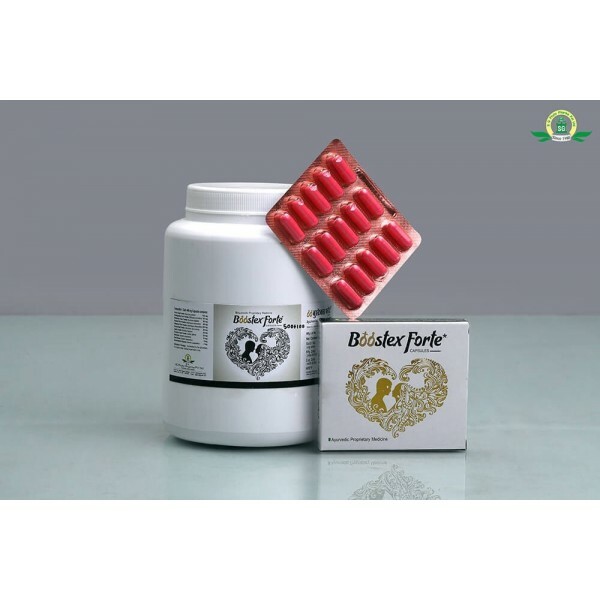 Promotes vigour for improved performance and fertility aspects. Improves mental and physical health. Kavach beej, Bhuikohla Kuchala, Jaiphal, Ashwagandha : All have aphrodisiac action & nervine tonic. Useful is general debility nervous exhausion. 1 caps 2 times daily. 3 Strips of 10 capsules / 500 capsules container.